Arts education can meet the needs of an aging population in innovative ways. We aim to strengthen the field's capacity to deliver comprehensive programming for older adults, model high-quality practice and raise awareness of creative aging and its impact. Browse resources and learn more about our Catalyzing Creative Aging program. Creative youth development (CYD) is a long-standing practice that intentionally integrates creative skill-building, inquiry, and expression with positive youth development principles. The Guild is a member of the CYD National Partnership. Through this work, we ensure that CYD is broadly-implemented, well-researched, and equitably-funded. Browse resources and learn more about the CYD National Movement. Effective K-12 arts education partnerships transform students, schools, and communities. Our programs allow community arts education providers to develop strong K-12 partnerships. Browse resources and learn about our Arts in Education Network. Strong leaders behave in ways that bring people together to move things forward. Our leadership programs enable current and aspiring leaders to build on their strengths, core values, and self-awareness. By developing leaders, we strengthen our field's ability to maximize creative potential. Browse resources and learn more about our Community Arts Education Leadership Institute (CAELI). A field is only as strong as the fiscal health and sustainability of its organizations. We provide training, data, and resources to help you increase funding, develop your board, and support staff. Browse resources and learn about Networks that support capacity building. 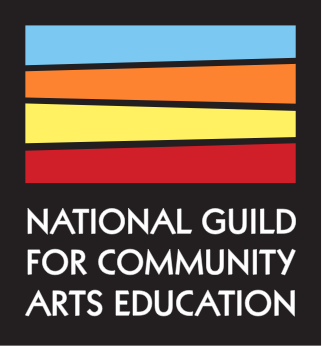 We stand behind equity and social justice in community arts education. Our programs empower arts educators to support equity in their work. In part, we achieve this by promoting leadership for people of color, training white constituents in racial justice principles, and providing frameworks for moving organizations toward greater equity. Browse resources and explore our Networks advancing racial justice.